Mud, Rabbits and cake, lots of cake! 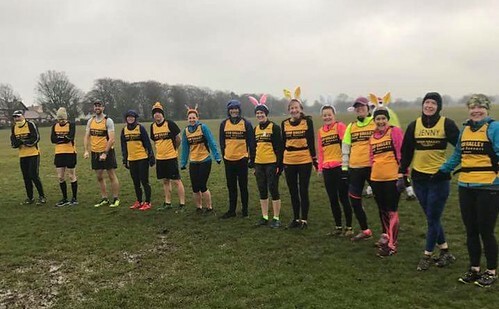 It was a cold wet morning for running around the Stray but there were still 294 brave soles in various shades of Lycra, well 293 shades of Lycra and one rabbit brave enough to turn out for our Easter Saturday parkrun. 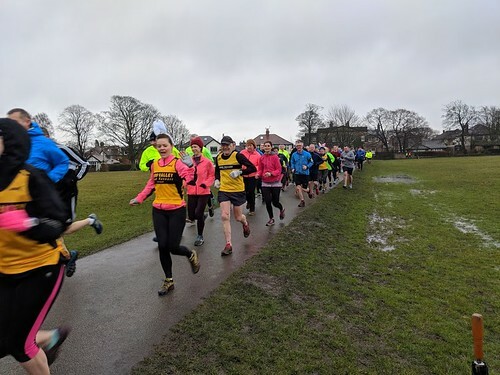 Nidd Valley Road Runners took over parkrun for the day but couldn't have done it without the expert assistance of the Harrogate parkrun core team. There were also returns from several couch to 5k runners from Knaresbourugh Striders and Nidd Valley which was great to see. So the course was challenging (parkrun speak for very wet and muddy) which suggested we wouldn't see any personal bests but 10 runners still smashed their previous bests, well done to everyone. 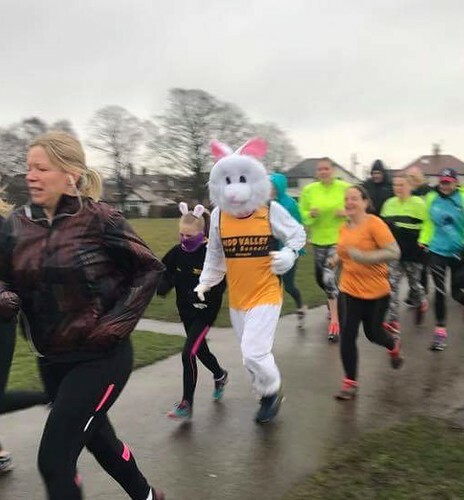 294 runners, 27 running at Harrogate for the first time, 23 doing their first ever parkrun, 10 personal bests, 29 running clubs represented, 17 varieties of home-baked cakes, 180 chocolate Easter muffins, 14 pacers, oh and of course one rabbit. The first male back to the cake table was Mark BRYANT in 19:22 and the first female to the cakes was Sharon BARLOW in 20:24 awesome running is such difficult conditions. 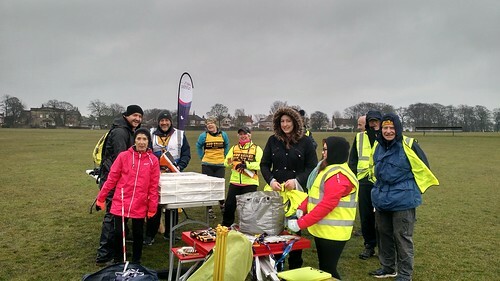 It was an epic day which hopefully sent everyone home in good spirits and full of cake, it just goes to prove that whatever the weather parkrun and cake will always raise the spirits of runners and volunteers alike. We hope you had a great day, so it just remains to say on behalf of Nidd Valley thanks for turning out and making our morning so good and a happy Easter to one and all. Today's full results and a complete event history can be found on the Harrogate parkrun Results Page. The female record is held by Rosie SMITH who recorded a time of 17:28 on 3rd October 2015 (event number 196). The male record is held by Paul POLLOCK who recorded a time of 15:14 on 7th October 2017 (event number 303). The Age Grade course record is held by Ben GRANT who recorded 89.30% (19:19) on 23rd July 2016 (event number 239). Harrogate parkrun started on 21st January 2012. Since then 11,858 participants have completed 92,748 parkruns covering a total distance of 463,740 km, including 16,054 new Personal Bests. This entry was posted in Uncategorized by harrogateoffice. Bookmark the permalink.